Today it is necessary to use the transit and logistics potential of the region more efficiently and ensure the advanced development of the transport infrastructure. This was stated by Uzbek President Shavkat Mirziyoyev at the international conference entitled “Central Asia: Shared Past and Common Future, Cooperation for Sustainable Development and Mutual Prosperity” in Samarkand on November 10. "The Central Asian countries have already implemented a number of practical steps in this direction. Or Turkmen friends have opened new railway and automobile bridges of Turkmenabat - Farab through the Amu Darya. This is an important part of the transport-transit route Uzbekistan-Turkmenistan-Iran-Oman. An agreement on the earliest possible start of the construction of the Uzbekistan-Kyrgyzstan-China railway, as well as a auto rally along this transport corridor was reached," he said. 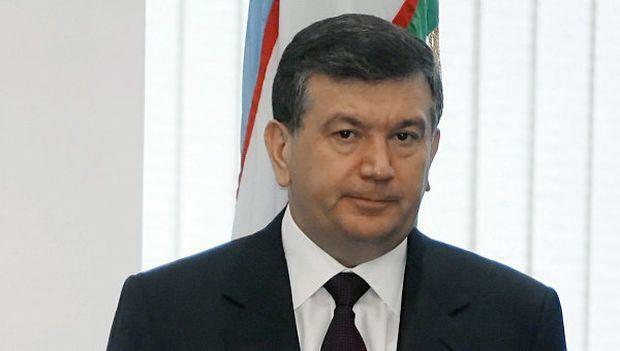 As part of these efforts, it is necessary to develop and adopt a region-wide program for the development of transport communications, according to Mirziyoyev. Tashkent also plans to host an international conference on the development of transport and transit infrastructure in Central Asia in 2018, he noted. “In order to harmonize our common approaches, we plan to hold an international conference in Tashkent in 2018 entitled ‘Central Asia in the system of international transport corridors: Strategic prospects and unrealized opportunities’. We hope for the active participation of all our partners in its work,” said the President of Uzbekistan,” the Uzbek president added. Samarkand hosts an international conference on security and sustainable development in Central Asia under the aegis of the UN. The ministers of foreign affairs of the states of the region, leaders of such authoritative organizations as the United Nations, the European Union, the OSCE, the SCO, the CIS, the EBRD, representatives of the diplomatic corps, experts, media workers participate in the conference. The two-day forum will discuss specific areas for enhancing cooperation in the political, trade-economic, investment, transport-communication, water-energy, environmental and cultural-humanitarian spheres, as well as issues of joint struggle against modern threats and challenges.